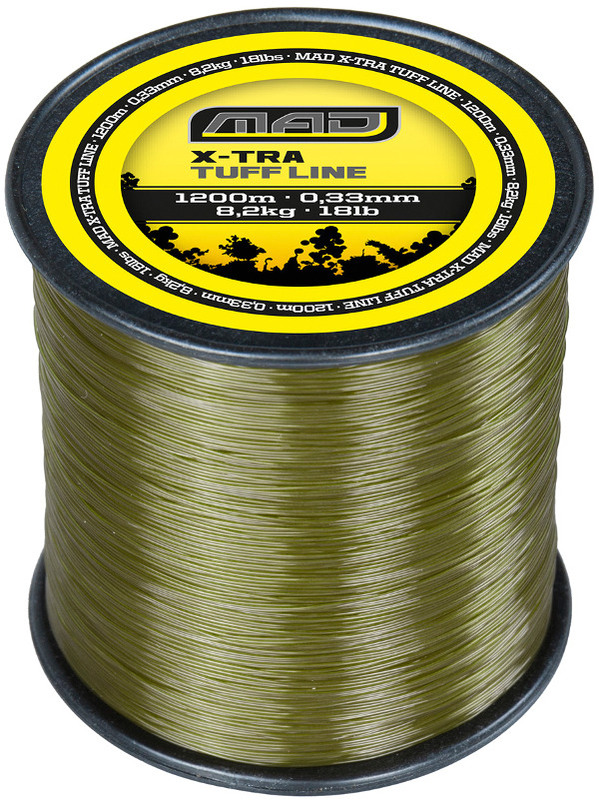 A top quality carp line and competitively priced! The new carp X-tra Tuff line from MAD is an extra strong and abrasion resistant line that is still supple enough to perfectly follow the bottom contour. This means your bait is always perfectly on the bottom with the line out of the way. The olive green camouflage colour of the line makes it virtually invisible anyway. Perfect for those cautious fish. Low memory and low stretch allow for accurate bite indication. It also allows you to make long and accurate casts. You will receive a bulk spool so you can immediately spool all of your reels.